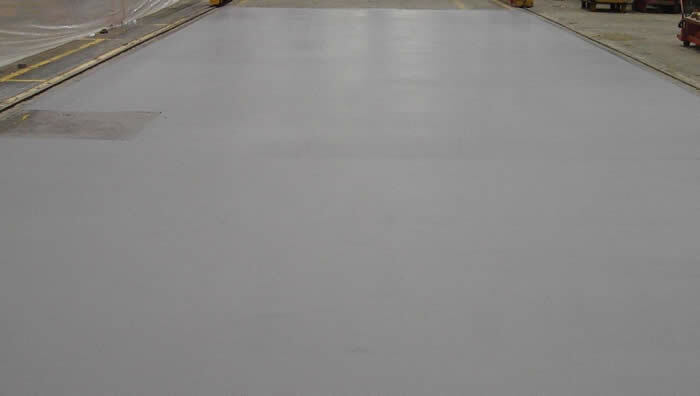 Abrasion resistant concrete floor coating 09 96 13. is many times added to a industrial concrete floor protection solution to guard from rubbing and scraping. These type of mechanical actions will eventually remove the surface of the industrial concrete flooring system exposing it to further erosion. By adding abrasion resistance, the industrial concrete flooring system will maintain its original appearance keeping its solid structure intact. Consult with a Concare professional to evaluate your concrete flooring system in order to discover if abrasion resistant is right for your industrial flooring application. Add abrasion resistant floor coating to urethan coating, MMA and epoxy coating for a strong, long lasting finish. It’s also a great solution for walls and cove bases protecting from harsh impacts. Contact us today to find out how our abrasion resistant concrete floor can protect from rubs and scrapes on your industrial floor.